When San Diego City Attorney Mara Elliott ends her day leading a 360-person office that handled approximately 21,000 cases last year, she is happy to return home to Scripps Ranch. One can understand the need for Elliott to decompress following a workday after considering the diverse, important role she plays as city attorney. Elliott’s job as San Diego city attorney is not to be confused with the work of the San Diego County’s district attorney. 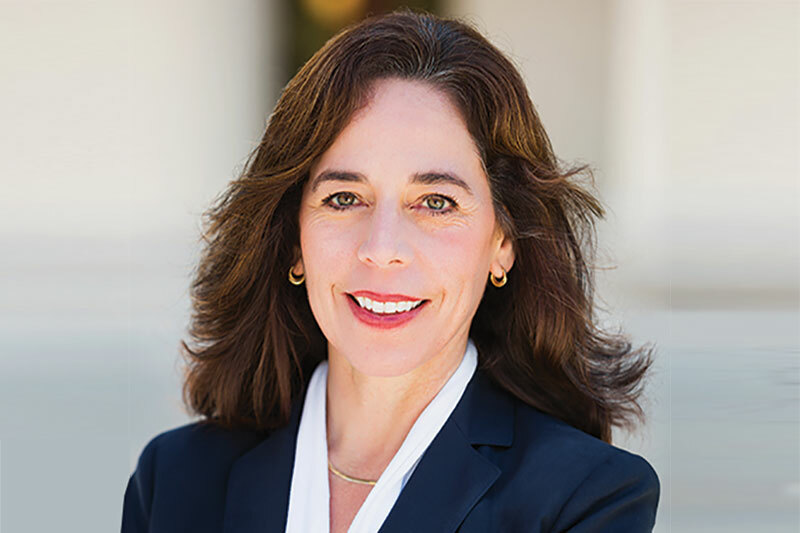 Elected in 2016, City Attorney Elliott and her staff handle misdemeanors within the city of San Diego. The San Diego County district attorney, on the other hand, handles felonies and misdemeanors happening outside of the city of San Diego. Elliott explained that the city attorney’s office handles “quality of life” issues like vandalism; unsafe housing conditions; a neighbor who might not be trimming brush back, creating a fire hazard; and code compliance issues. “We’re trying to make sure the quality of life is good wherever people are living,” Elliott said. Overall, her role is a complex one. On one hand, she’s the attorney for the city. Her clients are the mayor and the City Council, and her role is as their civil advisor. All laws and municipal codes come through the city attorney’s office. The city attorney sits in with the City Council and Council committees, and advises them on how to conduct their meetings; including whether they may have a conflict of interest. Elliott’s duties also include issuing memoranda of law, which describe particular legal issues, and to give the city advice on how to conduct its actions or the important things to consider before taking action. On the other hand, she is the attorney for the people, prosecuting misdemeanors on behalf of the city’s residents. In that situation, Elliott doesn’t consult with the Council or mayor, but moves forward independently. The city attorney’s office argues for and defends against legal actions involving the city in civil court. Prosecutions could be for faulty work done by a city contractor or for illegal dumping. Defense of the city’s cases can involve things like accidents involving city vehicles, trips and falls on city property or right-of-way, even damage caused by potholes. Elliott and her family, husband Greg and two sons, ages 11 and 13, moved to Scripps Ranch four years ago after living in Carlsbad. “We love the trails, and the people here are really friendly,” she said. “We spend a lot of time at the lake. And I like our library — our library is really terrific, and I’m a book nerd.” she said. Elliott also enjoys trips to the local bakery and café, The French Oven. “It’s good to walk there because once you arrive, you’ve already burned some calories,” she joked. Like many parents, she’s involved in her sons’ schools and also works to stay involved with the local community, despite her busy schedule. She was involved in school government when her sons were at Jerabek Elementary School, and she helped that school develop its emergency plan. She’s still involved with her sons’ school field trips, but the duties of her job have affected the time that she has available. “Most of the meetings I cover (as city attorney) are held during school hours,” she said. Her husband, Greg, is on the board of the Scripps Ranch Civic Association, providing Elliott with a way to remain involved in her community. No matter the demands of work, family, school or community, Elliott said it was a longtime goal of hers to live in this area and she’s very happy to have made Scripps Ranch home.